If you’re on this page then you’re probably in need of diamonds in Invasion: Modern Empire. We know that feeling. Diamonds are super important in the game and buying them can get very expensive. 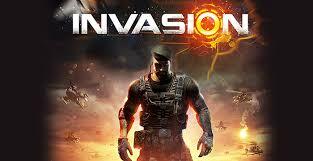 For that reason there are many players who look for Invasion: Modern Empire Cheats. However, while there are many websites out there on the internet that offer such cheats, do they actually work? Can you really enter you username in an online Invasion: Modern Empire generator and watch the diamonds fly in? In today’s post we’re going to find out. Invasion: Modern Empire is a strategy game that was released in 2014 by Tap4Fun. The game is quite old, but still is very active and has many players all over the world. The game is free to play on both Android and iOS, but if you really want to enjoy it you need diamonds. These diamonds can be acquired through in-app purchases but they’re not cheap; 24000 diamonds costs a whopping $99. This is a pretty absurd amount of money to spend on a mobile game and therefore it’s not very surprising that so many people try to find ways to obtain free diamonds. However, on their quest for free diamonds people often end up on sites that offer generators. These generators claim to be able to hack the game and add thousands or even millions of diamonds into your account in the blink of an eye. But how do you know if they actually work? Well, normally you’d have to test them all out, but no longer. We’ve done all the testing for you and will tell you everything you need to know about cheating in Invasion Modern Empire in this post. 1 Is it possible to cheat or hack in Invasion: Modern Empire? Is it possible to cheat or hack in Invasion: Modern Empire? This is the main question that we’re going to answer. Finding the websites that offer these cheats is the easy part, the hard part is testing them all out. This took quite a while, but it had to be done because it’s the only way we can give a definitive answer to this question. This is what the hacks for Invasion Modern Empire usually look like. The generators on these sites usually look quite legitimate. However, when we tested them we quickly realized that NONE OF THEM WORKED. Every single hack for Invasion: Modern Empire that we tested did not work at all. They’re nothing more than a huge waste of time. Usually these sites have some sort of “proof” that their hack actually works on their site. This can be a YouTube video or an image. However, this “proof” is completely faked as well. They simply want to convince you that their hack actually works to make advertising revenue. Do not waste your time on sites like this. You won’t receive a single diamond from them and will just end up disappointed. Of course, you do not have to take our word for it. If you do not believe us that they do not work you can always test them out yourself, but we can guarantee that you will not receive any free diamonds from them. However, it is possible to obtain free diamonds. Keep reading and we’ll tell you exactly how. While it’s unfortunate that you can’t enter your username and press a button on a generator that doesn’t mean you have to give up on getting free diamonds. Obtaining diamonds in Invasion: Modern Empire is possible, but it will take a little bit more effort than pressing few buttons on some generator but it’s still very quick and easy to do. We discovered a very powerful method of obtaining free diamonds and have written a guide to explain the method to you. In our guide we’ll show you the only working method in a step-by-step format. You can simply follow the steps in our guide and obtain all the free diamonds you’ll ever need. The guide works on both the Android and iOS version of the game and you do not need to jailbreak or root your phone. The method in our guide is completely legitimate and will not get your account banned. However, while it’s completely legitimate, it’s not some basic gameplay tips and tricks. It’s way more powerful than that. 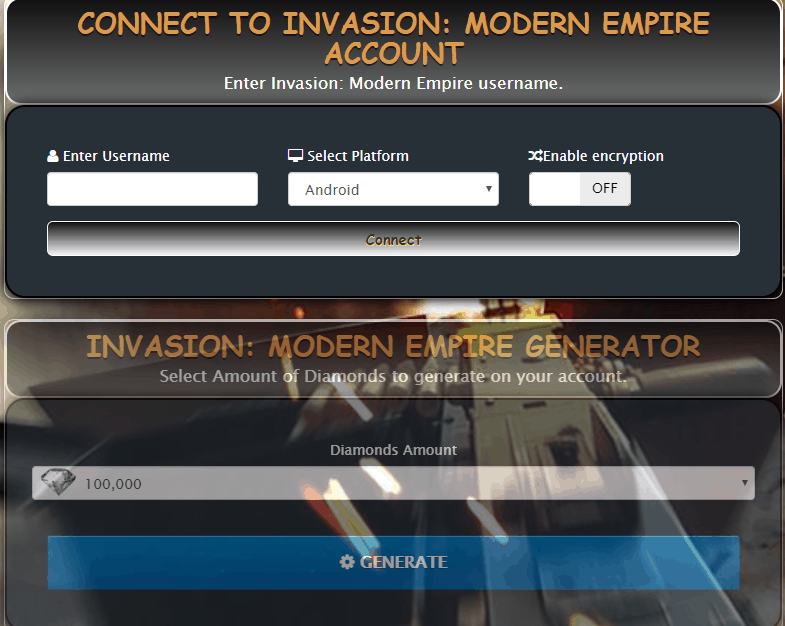 If you’re ready to learn the only working method of obtaining free diamonds in Invasion: Modern Empire click the button below and access our guide.